Daryl Runswick - Double Bass / Vocals with Don Rendall, Alan Branscombe, Spike Wells, Jim Philip, Mike McNaught, Mike Travis, Stan Sulzman, Tony Hymas, Harold Fisher, Alan Skidmore & Mick Pyne. 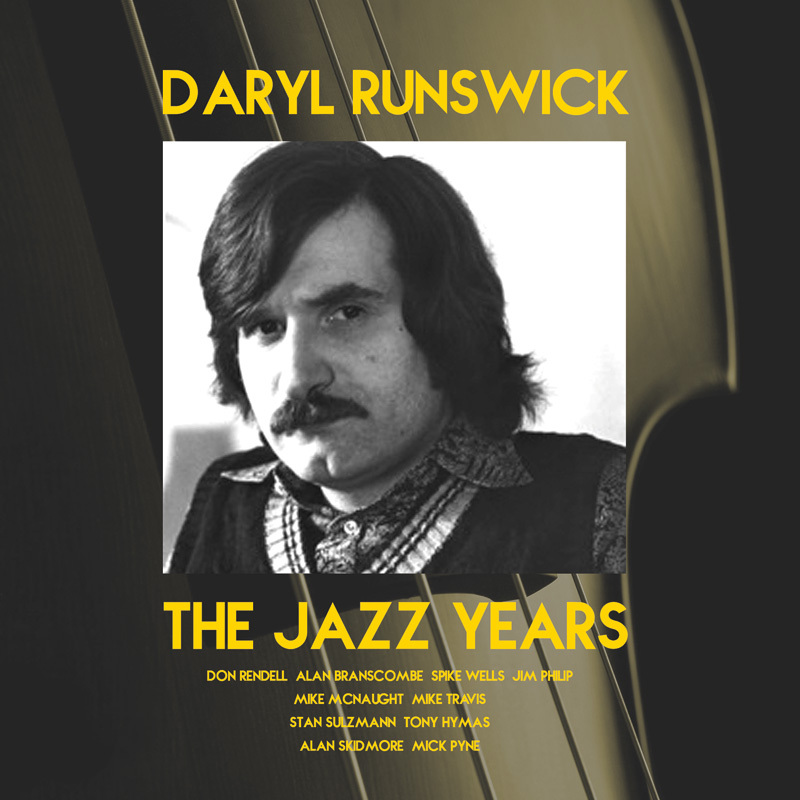 The late 1960s and the '70s was a period when Daryl Runswick’s multi-faceted career included a stint as a virtuoso jazz bass player; he could be heard both at Ronnie Scott’s and on recordings accompanying such luminaries as Ornette Coleman, Phil Woods, Jon Hendricks, Blossom Dearie, Eddie Harris, Al Haig, Ray Russell, John Taylor and of course Cleo Laine and John Dankworth, with whom he stayed for 13 years. His own groups, various incarnations of which are presented here, were no less star-studded. A rare treat is also included: Daryl’s solo performance (singing and playing) of 'Song of the Double Bass Player' with lyric by Clive James.